This post was originally published on the Collabra: Psychology blog. For Collabra: Psychology news and updates, please follow @CollabraOA, the Collabra blog, or sign up for the Collabra e-newsletter. We invite you to submit your work in developmental psychology to Collabra: Psychology, the mission-centric, value-sharing open access (OA) journal from University of California Press. If you’ve already heard of us, you will know that Collabra: Psychology is different. It is not just another OA journal, but a journal that actually gives back to the research community through a novel mechanism that recognizes and shares the value contributed by editors and peer reviewers. This mechanism shares earnings with editors and reviewers for any journal work (not just work leading to acceptance), and allows them to make decisions as to what happens with this value, with options to “pay forward” that value to institutional OA budgets, or to an author waiver fund subsidizing APCs for other researchers. This page explains it in full. Additionally, Collabra: Psychology is focused on scientific, methodological, and ethical rigor. Editors and reviewers do not attempt to predict a submission’s impact to the field, nor employ any topic bias in accepting articles — they will check for rigorously and transparently conducted, statistically sound, adequately powered, and fairly analyzed research worthy of inclusion in the scholarly record. The bar is set high. We encourage you to submit your work to us, and to know that you will be supporting one of the first journals that shares actual value with all of the people who do the work and help create a journal’s brand. With our first papers now published and receiving over 25,000 views collectively, we look forward to continued publishing success. Any questions, please contact Dan Morgan. For Collabra: Psychology news and updates please follow @CollabraOA, the Collabra blog, or sign up for the Collabra e-newsletter. 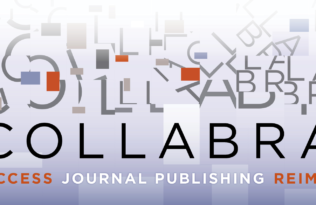 There are many more innovative features at Collabra: Psychology, including optional open peer review, article-level metrics, article annotation and commentary from hypothes.is, and an article-sharing partnership with Kudos, to name just a few. Please do check out the website for the full story: www.collabra.org. To see more Calls for Papers from Collabra: Psychology, click here.